Zoulah welcomes you back to Zoulah Boulah's Halloween Bash. She promised, and she always comes through, to post the recipe and instructions for the Candy Corn Cookies featured in her Candy Corn Tablescape from yesterday. They were a hit with the Red Couch Family. She took the recipe for cookie pretzels, from a Betty Crocker recipe book, that the Red Couchers have used for years. Mix sugar, butter, milk, vanilla and almond extract, and egg. Stir in flour, baking powder and salt. 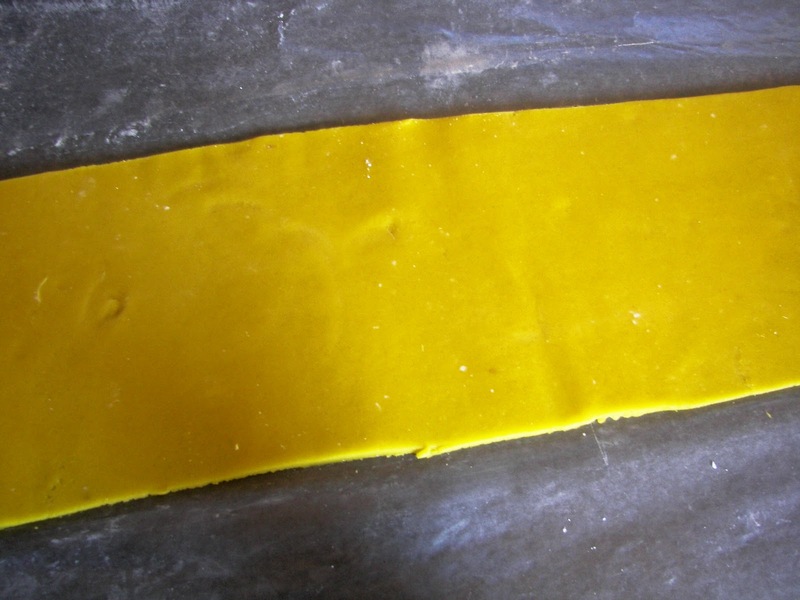 Color one part of dough with orange coloring; color another part of dough with yellow coloring. Form all three dough parts into rounds and cover and refrigerate for at least one hour. Heat oven to 350 degrees. 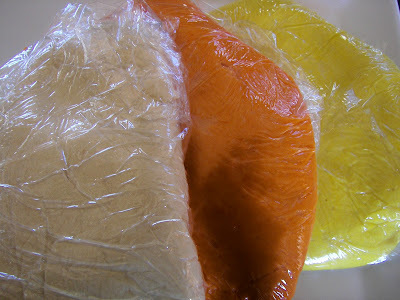 After refrigerating, roll each of the colored doughs into a long strip. Zoulah rolled hers into a 5 inch by 24 inch strip; you could vary this.﻿ Trim the edges. Then, combine the three strips. Next time, Zoulah would weigh each of the colored dough disks to make sure that she has an even amount of each. Trim the edges. Roll the dough up evenly and carefully. 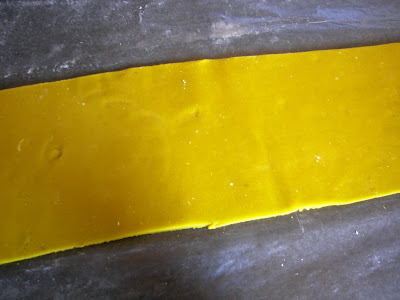 Once it is rolled up, you can begin to cut it into slices of about one-half inch. Zoulah found that a bread knife worked really well for this job. Before baking, sprinkle sugar on each cookie. Bake at 350 for about 8 to 10 minutes. Remove from cookie pans and place on cooling rack. 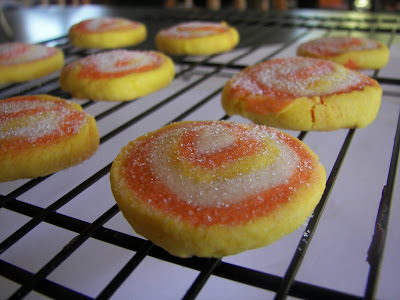 With the cookie scraps from the edges you can make tie-dye looking cookies. 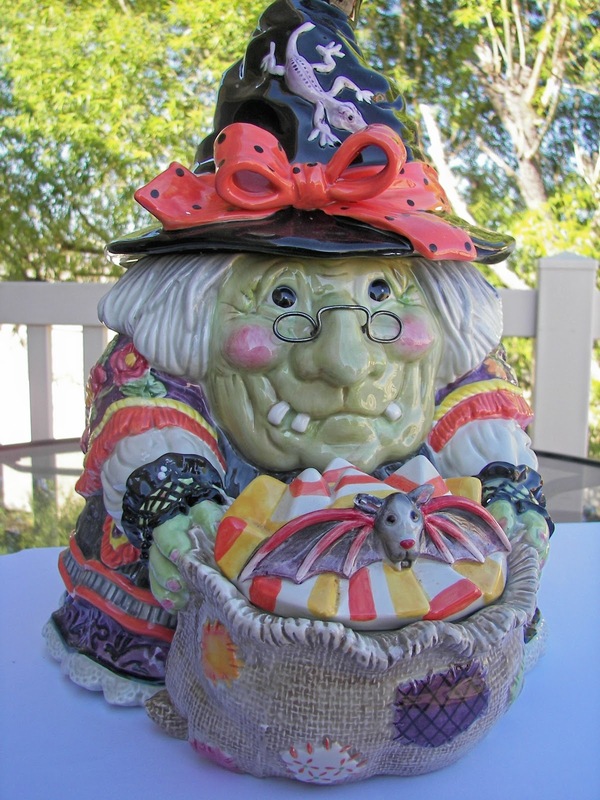 Zoulah likes the "scrap cookies" because they remind her of her "witchie hippie" days in the sixties. The only tricky part is making sure that you achieve the correct stiffness. If the dough is too soft, refrigerate longer. If the dough is too stiff, let sit out on the counter. Zoolah thanks you for dropping by Red Couch Recipes for her Halloween Bash. absolutely fantastic! Zoulah is pretty busy! Very Cute!! Good job Zoulah!!! Zoulah, you have done it again girl...great job! 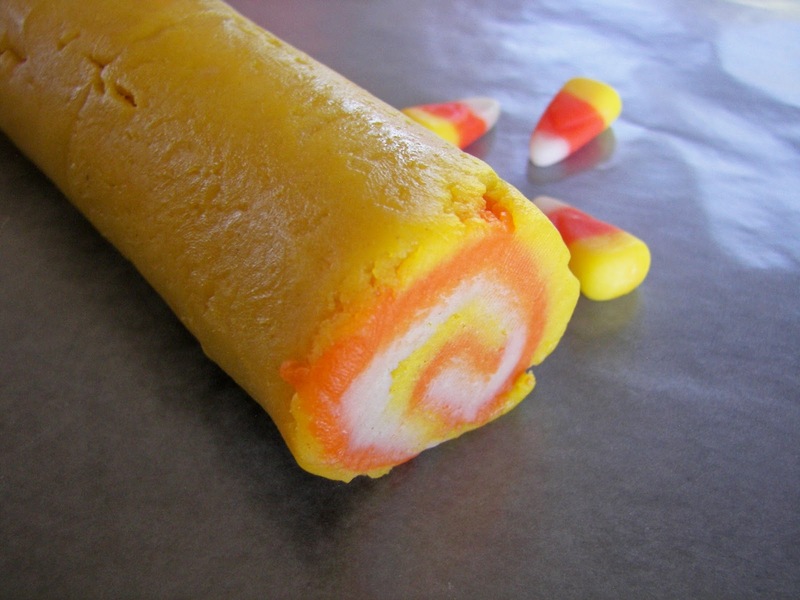 I will definately be making these for our bake sale at our Fall Festival! Thanks so much! ohh I love these! super cute. seriously, its still in the 90's in houston. I cannot decorate or bake for fall yet; til it feels like fall! Come on Houston! Zoulah is quite the little baker! Cookies are very colorful. Love, love, love the cookies and the tablescape!! Especially the Candy Corn Spheres. 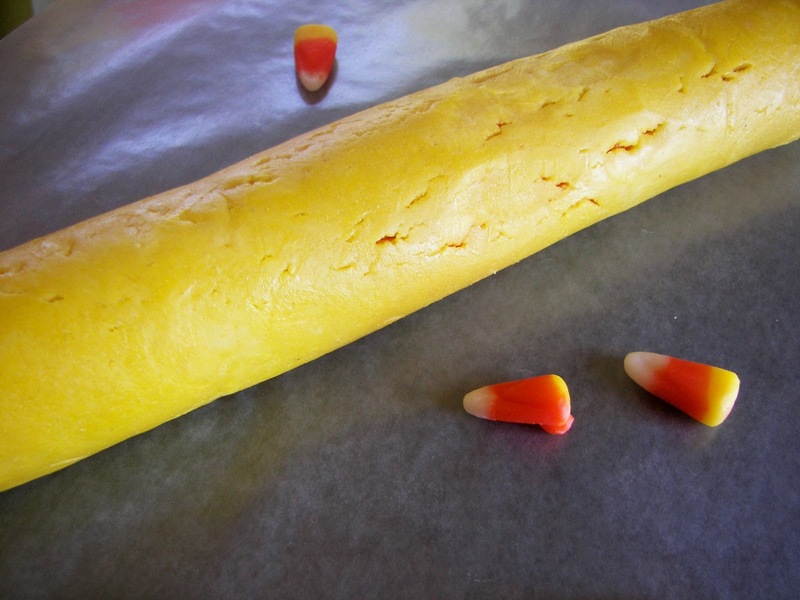 I am always on the lookout for Halloween recipes and this one is perfect. Fairly simple and big on the presentation! I can't wait to try it. 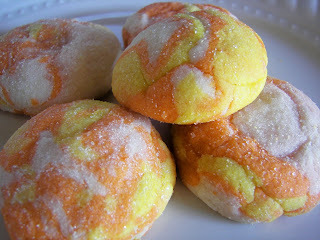 What fun Halloween cookies these are!! Love all of your Halloween posts. So cute! The kids are now wanting these!! Thanks for posting! Terribly cute!!! Bet they taste good too! I love candy corns. These cookies are so cute! Very festive! What a woman! That gal can cook and eat too, it appears. Ms. Joni you are so clever, I think you should host your own cooking show. I know one that is available. Pray about it! That is terrific! And I'm hungry right now. This is the cutest cookie ever. I love the Jolly Halloween border. these cookies are sooo fun! i'm a horrible baker but i may have to give them a try! thanks for sharing.... again! 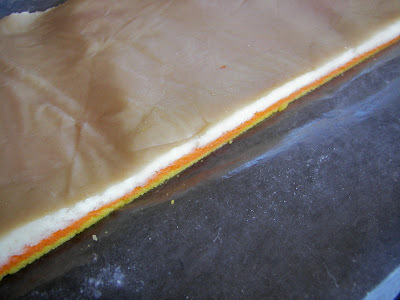 i found your site from the eighteen25 link up...what a cute recipe! we'll definitely try these out at our house! One word...FABULOUS! I am so making these. WOW! 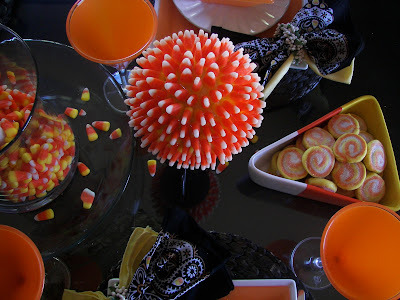 I could throw an entire Halloween party with just the ideas you linked up at Thrilling Thursday this week! TFS! 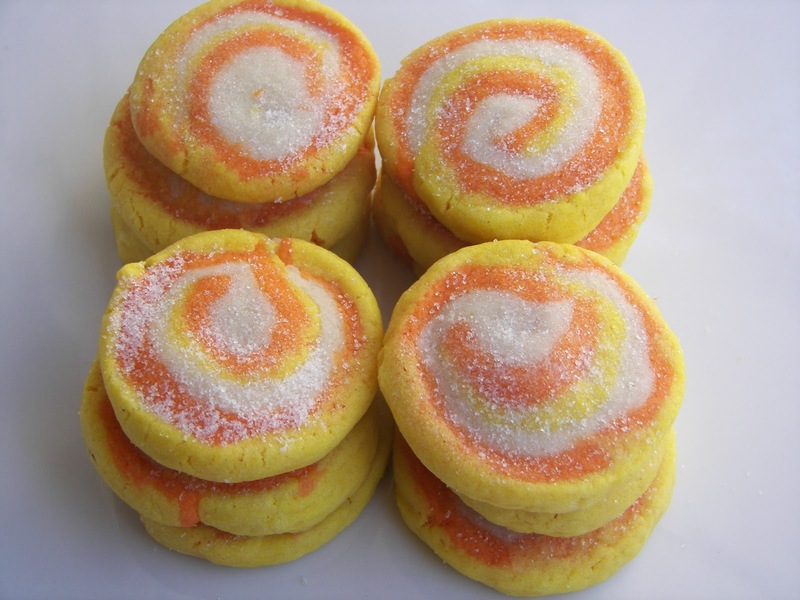 Adorable candy corn cookies...too cute! We make these same cookies at Christmas time. But we usually form them before putting them in the fridge. I think, if I remember, I will try it this way instead as it seems it would be easier to work with. Thanks for linking up all your great ideas this weekend. I featured this one today! We are so making these, thanks for sharing! I'd love to invite you to come over for my 3 year blogiversary giveaway! You could win a Cool Touch Griddle and other prizes! These are such fun cookies! I've gotta make these with my kiddos. Thank you for sharing!